In an introduction to a book on the Golden Dawn, Ellic Howe, himself a notable contributor to Golden Dawn studies, commented that he felt that, with that book, the bottom of the Golden Dawn barrel had been well and truly scraped. Since that time, the Golden Dawn has continued to be a growth industry, and that same barrel has been processed into almost as many fragments as the True Cross. This essay, then, might be looked on as one stage of an alchemical enterprise aimed at reconstituting, from its endlessly projected and multiplied fragments, the ghost of the Golden Dawn barrel. One of the many problems of Golden Dawn studies is the peculiar nature of the source materials: they are documents and records that were originally transmitted under various pledges of secrecy, and that have since become objects of commerce, as well as objects of dispute for those involved in various controversies of succession. The result is that primary materials are not easily available; reliable critical editions of texts are almost non-existent. The texts that are available have passed through several recensions, and it is not always easy to tell what material originated where or when, or with whom. In a sense, then, the earliest published texts can and even must be taken as the earliest texts, since they are what first appeared in the public record, and there is a definite, known date by which they come to exist in that form. For this reason, as well as simple convenience, I will refer primarily to the Golden Dawn (or rather Stella Matutina) material as published by Israel Regardie, and draw certain conclusions from those particular documents. Some of these conclusions will raise questions about ways in which the texts may themselves be incomplete or problematic; I will address some of those points a bit later on. I begin by following a particular thread through the maze of materials. It begins with the role of the Tetragrammaton in the arrays that appear on the side of the Vault in the Adeptus Minor degree. Certain structural features of those arrays appear significantly in other places, and in tracing their appearances I will also point out the implications of those features in the larger context of the Golden Dawn work. I will end the first part of this essay with a preliminary interpretation in the light of other Golden Dawn texts. In the second part, I will explore an amplified interpretation drawing on other sources, which I suppose to have been available to those who originated the Golden Dawn system, and then conclude with an assessment of the implications of the claims I have made. Each side of the Vault of CRC, as exhibited in the Adeptus Minor grade, features a rectangular array of forty squares (five wide and eight high). Although the array on each side is characterized by its own color scheme, the contents are otherwise identical. The array is structured in two ways: by the ten Sephiroth of the Tree of Life, and by the recurrence of the four (or five) elements in the sequence that echoes the Tetragrammaton (Yod-He-Vau-Heh, from right to lift) or the Pentagrammaton (Yod-He-Shin-Vau-He). The top five squares of the array, from right to left, contain the four “Kerubic” zodiacal signs, those associated with the Kerubim of the elements, and between the IH and the VH there is the sigil of elemental Spirit (associated with Shin in the Pentagrammaton). The next row has Kether at its center, flanked by two of the three alchemical principles (salt and mercury) on the left, and their corresponding elemental emblems (air and water) on the right. The third row has Saturn at its center (the top point of the planetary hexagram), flanked by Chokmah and Binah, in turn flanked by the sigils of fire and its alchemical correspondent sulphur at the right and left, respectively. The twelve signs of the zodiac occur, in elemental order following that of the top row, in the fifth, seventh and eight rows (the fixed, cardinal and mutable signs, centered on Tiphareth, Yesod and Malkuth, respectively), while the planets are arrayed on the fourth and sixth rows with Chesed and Geburah, and Netzach and Hod, respectively, centered on the astrological signs of the sun and moon. The Kerubic rulers govern the 12-squared cross formed by the second row and central column. The newly admitted Adeptus Minor has already encountered important features of this structure elsewhere, in the altar diagrams of the Garden of Eden before and after the Fall (especially the latter), which are exhibited in the Practicus and Philosophus grades. Common to both of these diagrams is a Tree of Life overlain with certain configurations of forces. In the first, that of Eden before the Fall, the various levels of manifestation are distinct: at the top is the Supernals; beneath it the King (Adam), whose arms are extended on the cross arm formed by Chesed and Geburah; he, along with the Sephiroth of the pillars of Mercy and Severity, is supported by the Queen (Eve), who in turn stands upon the realm of the Shells coiled beneath the Tree. Each realm is distinct, the higher dominating and supported by the lower. In the second, that of Eden after the Fall, the dragon from the realm of shells has risen to encompass the Queen (who has fallen into the realm of Shells) and separate the Queen and King from the higher Eden of the Supernal Realm; the Lightning Flash has withdrawn and become the flaming sword that is wielded by the Kerubim of the Divine Name, which governs the barrier between the Supernals and the fallen world. The energies of the manifest world have become a barrier against return to the Divine at the same time that they are an expression of the Divine. The sides of the Vault might at first seem to present the diagram of the Garden of Eden After the Fall in a more schematic way. However, looking at the greater context of the Vault symbolism, it becomes clear that although there is a similarity of structure, the process begun in the first diagram and continued in the second has proceeded to yet another stage. The lid of the Pastos within which lies the Chief Adept, in the person of Christian Rosenkreutz, is decorated with two emblems. On the lower half of the lid is the image of “the Justified One, crucified on the Infernal Rivers of DAATH, and thus rescuing Malkuth from the folds of the Red Dragon;” the emblem shows the heads of the dragon falling back from the Tree, which is once again ordered in accordance with the Divine. On the upper half of the lid is the Apocalyptic image of the Son of Man, “in His right hand Seven Stars, and out of his mouth the Sword of Flame,” uttering forth the Lightning Flash through all the Sephirotic lights. This is accompanied by the appearance of the Chief Adept, uttering ecstatic verses derived from the Apocalypse, from accounts of the Resurrection, and from utterances associated with the resurrected Osiris. The effects of the Fall are undone by the manifestation of the Son of Man coming in glory. The implication is, then, that these configurations represent the Garden of Eden as restored by the apocalyptic return of the Son of Man. The Vault-Pastos-Adept complex becomes a three-dimensional emblem of the resurrected or regenerated state. This structure occurs yet again, and with different emphases, in the Inner Order Enochian material. Each of the four large (13 x 12) Enochian tablets is divided into four regions, each structured by a central cross, above which rule the letters of the Tetragrammaton, and below which are the forces controlled by those letters. 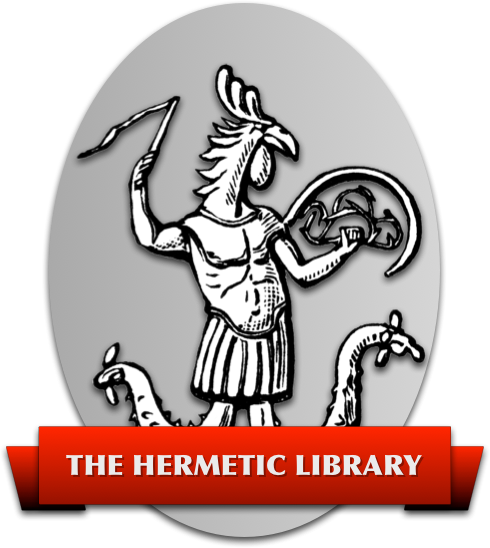 These Tablets are to be understood as located at the periphery of the Sphere of Sensation of the Adept, between the doubled Pillars of Mercy and Severity described in the Tarot papers. At the center of that Sphere is Tiphareth; at the south pole, Malkuth; at the north pole Kether, and above the north pole the dragon structures that transmit energies from the higher levels of being. The four Tablets are located between the four Pillars (the doubled pillars of Mercy and Severity) — and although the positions of the Tablets and Pillars are fixed with respect to the surface of the Sphere, their position with respect to the individual Adept varies with the time of the Adept’s birth. That is, the direction one faces in one’s Sphere depends on one’s time of birth, and remains the same throughout one’s life. This means that the Tablets, and Pillars, occur in different places in the Sphere of Sensation (relative to the physical body) for different practitioners. This, in conjunction with the analysis of the subtle structure of the Temple provided in the Z1 and Z3 documents, suggests a rather different approach to the circulation of energies within the subtle body than that developed in the well-known Middle Pillar exercise (for example, the lateral and dorso-ventral circulations described by Regardie would not occur along the paths of the four Pillars in the Sphere for most practitioners). This, however, is one of many topics that cannot be explored here. The Sphere of Sensation, in other words, is structured very much like the Vault (except that the Vault has, in effect, seven Tablets while the Sphere has only four). This analogy (or perhaps homology) is strengthened by the remarks in the Z documents that link locations (and grades) within the Temple to locations within the subtle body. Thus the movement of officers and the order of certain speeches are explicitly linked with ways of manipulating the breath within the body to achieve magical effects. The western part the Temple is the most material part of Malkuth, while the Altar is the most “eastern” part of Malkuth, in the Temple in the Neophyte grade; the Chiefs sit in the east before the veil of Paroketh that lead (as in the Portal Grade) toward the location of Tiphareth, which is connected not only with the Vault, but with the heart. The Vault, then, is specifically located in Tiphareth (the heart and solar-plexus center, although the link with the heart is emphasized by the references to the Prayer of the Heart in the Adeptus Minor ritual). 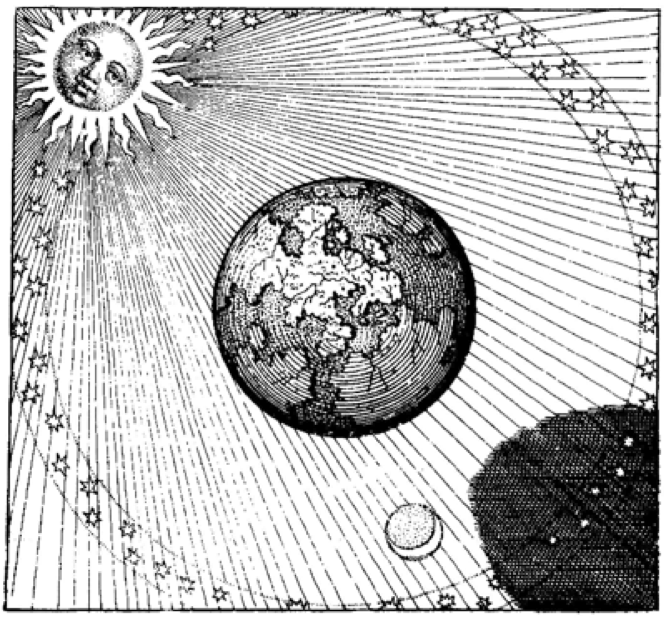 Below it is the realm of the elements and the Qlippoth; above it the Supernal realm from which it draws the energies of its existence. The Vault is thus also located in the Celestial or Planetary region of the threefold Agrippan cosmology referred to in the Tarot papers; below it is the sub-lunar realm; above it the Divine realm. The sides of the vault correspond with the planetary energies characteristic of the Celestial realm, while the tetradic structure of the Enochian Tablets corresponds with the tetradic structure of both the sublunary and the Divine realms [reference]. The way to the Vault leads from the realms of Outer darkness to the Altar of Burnt Offerings and the Laver of Purification, and thence to Jerusalem (and Zion), the Temple and the Holy of Holies. The Sphere of Sensation of the Adept, energized by the events occurring in the Vault, is not that of either innocent or that of fallen humanity. Rather, it is that of post-resurrection humanity, transmuted and deified, endowed with the qualities Aquinas called impassibility, subtlety, agility, and clarity. In other words, the resurrected body is unsuffering, incorruptible or inviolable; it is penetrating; it is supremely mobile, immediately responsive to the will of the soul, and brilliant, illuminated by the glory of the soul. This is the promise of the events in the Vault, the seed planted there to develop and mature with the extended work on the Tablets and the Sphere of Sensation. If one accepts this interpretation supported as it is both by remarks in the grade papers and by Mathers’ own commentary on the Adeptus Minor ritual, a corollary suggests itself: that both the Adeptus Minor grade and the role of the Enochian material was integral to the conception of the GD from its beginning, rather than, say, having been added on at some point when various members demanded higher grades or more magical teaching. This seems to be confirmed by the cipher manuscripts as edited and published by Darcy Küntz. These show the Enochian material as integral to the elemental grade scheme, as also are the Altar Diagrams of Eden before and after the Fall, and the gradual progression through the Temple to the Holy of Holies. In other words, from its origin the Golden Dawn initiatory scheme seems to have been designed to introduce the initiate to a set of symbolic structures and magical tools that would lead to the possibility of applying those tools and those formulae to the achievement of the resurrected state, a state that is at once physical and spiritual. But there is yet more to this than meets the eye.